Come to think of it, concerts devoted to a single composer – jubilees and special anniversaries notwithstanding – are quite unusual. The well-considered “Total Liszt” program from the London Symphony Orchestra (LSO) conducted by Sir Antonio Pappano gave ample proof that evenings like this do work and make perfect sense. “Total Liszt” put the Hungarian composer in a propitious light, offering variety, a discovery, but above all outstanding music-making and plenty of thrills. The discovery came in the shape of Sposalizio, originally the sublime opening part of Liszt’s Années de pèlerinage, Second Year: Italy for solo piano, yet here in a 2015 orchestration by the Italian composer Salvatore Sciarrino (1947-). By using a modernist, sophisticated instrumentation (including bells and glockenspiel), Sciarrino pulls the work resolutely towards himself, yet the result is that the graceful evocation of the Marriage of the Virgin, as Liszt saw it in Raphael’s painting in Milan, ends up somewhere in modern-day Cinema Paradiso. Plenty of attention-grabbing sonic effects (piccolo and bass clarinet joining forces), with some weird pauses thrown in, and you were listening to the sound rather than the content. Although intently and lovingly performed by Pappano and the LSO, Sposalizio in Sciarrino-style was something of an oddity. The following Totentanz grabbed the attention as well, but for very different reasons. 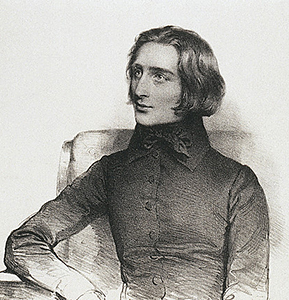 Liszt’s fascination with death and the diabolical, partly fueled by his traveling and interest in arts, never found a more frightening expression as in this short work for piano and orchestra, adroitly variegating the Dies irae theme, as well as pushing the limits of harmony and piano technique. The Totentanz was given a knockout performance by pianist Alice Sara Ott. Appearing in a black gown, as if dressed for an infernal ball, she left little doubt she wanted to have a great time. And so did we. The Totentanz has been in Ott’s repertory for some years and it’s clear she knows how to bring it with devastating impact. Her innate classical poise prevents her from pushing the piece over the edge, yet it’s exactly this flirting with the abyss which makes the Totentanz such an exciting ride. Alternately burning and melting the piano, she delivered the ferocious runs (including these jaw-dropping glissandos) with breathtaking speed, articulation and clarity, while the reflective moment in the fourth variation acquired a mesmerizing beauty in her hands. This was death equally creepy as well as beguiling. A close connection with Pappano and the LSO in great form added to the overall excitement and success. Alice Sara Ott received a thunderous applause and returned with a contrasting encore, the C-sharp minor Nocturne from Chopin in a ravishing gossamer delivery. As rarely performed in the concert-hall as the Totentanz is the Faust Symphony in its complete 1857 version, including the finale with tenor solo and male-voice choir. Antonio Pappano offered overall a fine, often very beautiful, if eventually not entirely convincing reading of the Faust Symphony. Focused, attentive to every detail, coherently shaped and without a single drop in tension, the first two movements stood out: Faust appeared as a wild, edgy and volatile character, while Gretchen breathed tenderness and innocence to delight. Mephistopheles however would have benefited from more abandon and profounder work on the instrumental color. Perhaps it was the onslaught of the preceding Totentanz still fresh in mind, or simply the emphasis of the first movement which made Mephistopheles sound somewhat underwhelming. But in any case the contrast between the outer movements was too little pronounced, with Faust appearing as vivid and unsettling as his diabolic reflection. The “Chorus mysticus” finale, adding a spiritual dimension to the human conflicts evoked in the symphony, was however properly grand and powerful, with splendid vocal contributions from the American tenor Brenden Gunnell and gents from the London Symphony Chorus. The playing of the LSO was a constant pleasure this evening, nary a weak link in the ensemble. With his detailed approach and care for orchestral balance, Pappano capitalized on the divided strings of the massive ensemble, highlighting the often brilliant writing of the symphony. Nowhere more so as in Gretchen, where Liszt at times reduces the orchestral forces to a chamber music scale. The admirable LSO woodwinds, especially Bobby Cheng’s oboe and Adam Walker’s flute, often in dialogue with groups of or even solo strings, always set the proper tone and atmosphere. “Total Liszt” was a superb evening. Alice Sara Ott’s performance of the Totentanz was in a class of its own and in spite of some minor quibbles, A Faust Symphony remained a remarkable achievement as well. Running well over 70 minutes the symphony can be a daunting prospect, yet performances of such constant high quality as here by Pappano and the LSO are liable to convince you it has to be this way. The label of “heavenly length”, as in the case of Schubert’s later works, wouldn’t be inappropriate. Categories: Concert reviews | Tags: 26 November 2017, Alice Sara Ott, Antonio Pappano, Barbican Hall, Brenden Gunnell, Faust, faust symphony, Franz Liszt, London, London Symphony Orchestra, Salvatore Sciarrino, Total Liszt, Totentanz | Permalink.